This centipede, about 50 mm. in length, was found under a decaying log at The Jacksonville Arboretum and Gardens in southeastern Jacksonville, Duval County, Florida on 3/7/2009. 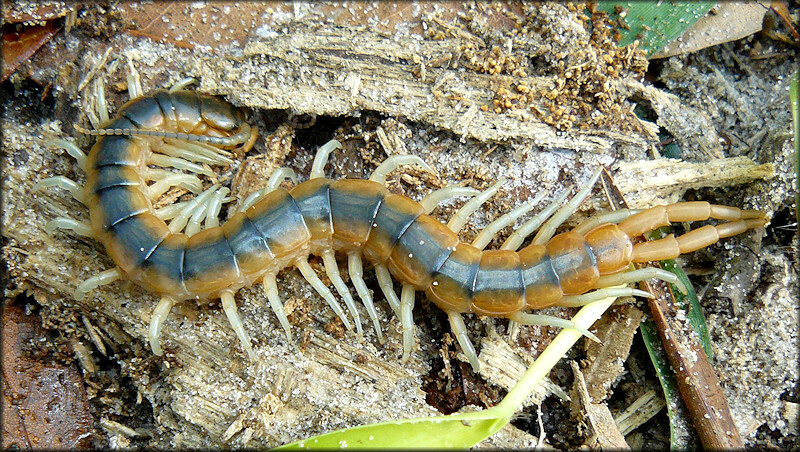 The specimen was sharing the habitat with the smaller and much more common centipede [Scolopocryptops sexspinosus].